Nominated for: his constant enabling. We at Torontoist haven’t been the biggest fans of Rob Ford, in terms of both his policies and his general conduct. He’s penny wise and pound foolish; a master of empty rhetoric and idiot sloganeering; and has a long track record of making statements that are false, offensive, and sometimes both at once. That said, we don’t actually wish the man harm. Sometimes it feels as if other people may not be as invested in his well being. 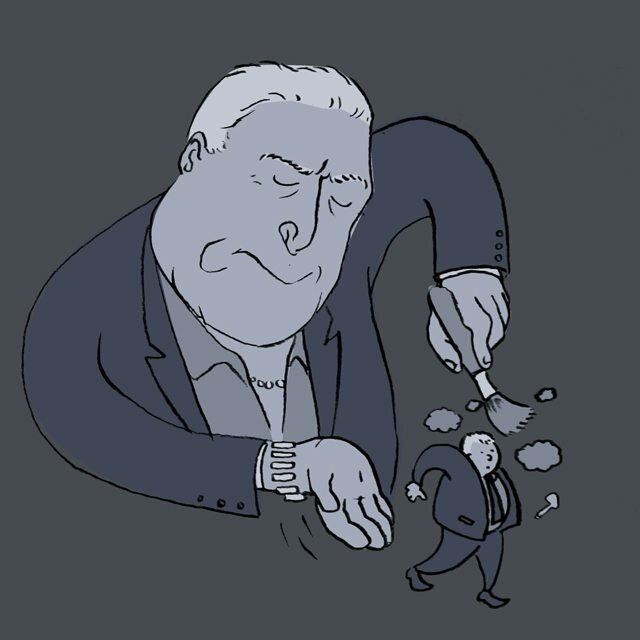 Doug Ford probably isn’t actively, consciously trying to harm his brother, but that’s all he’s done since the rumours about Rob’s crack use first surfaced this spring. He’s enabled Rob’s continued substance abuse at every turn. Instead of sitting Rob down and saying “I love you. You need to step away and get help,” he’s made excuses, deflected, and run interference. He’s suggested that Rob should stick to getting hammered in the basement rather than imbibing in public, as if the problem isn’t the drinking but being caught drunk. When Rob admitted to buying illegal drugs while mayor, Doug tried to turn things around by demanding the other councilors take drug tests. He tells reporters that if Rob gets his weight under control, he’ll be a new man. Never mind that former staffers have talked about having to buy booze for Ford to prevent the mayor from being seen in the LCBO, described his of clandestine drinking habits, and seen him drink while driving. Never mind that there are multiple videos of Rob clearly wasted, or that he seemingly has the impulse control of a child. He’s just fat, that’s his problem. Doug Ford’s public enabling of his brother has got to stop. Not because he’s the mayor¬—he’s a lousy mayor even when he’s sober, and city council is getting on fine without him—but because he has two young children, and he deserves to see them grow up.